California-based importer of fine wines and premium sake. Click here for a list of VC distributors and restaurants in 49 states who carry eSake's premium sake products. Sake-World.com. 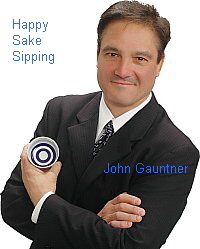 Homepage of sake expert John Gauntner. John is widely recognized as the world's leading non-Japanese sake expert. A longtime resident of Japan, and co-founder of eSake.com, John is fluent in Japanese and has written regular columns for the Japan Times, the Yomiuri Shimbu, and Tokyo Metropolis magazine. He is often invited by Japanese industry and government authorities to give speeches or attend sake tastings as an official judge. John has published four books on sake (see below) and offers numerous resources and services devoted to all things sake. TrueSake.com. Beau Timken's True Sake. Beau, a professional sake taster and sake sommelier, opened "America's First Sake Store" in San Francisco in 2003. True Sake is the first dedicated sake shop outside of Japan, and carries more than 90 unique sake from various Japanese prefectures. Beau is a crusader and educator intent on introducing Americans to the delights of fine Japanese sake. He also puts on some amazing sake tastings. SakeSocial.com. Learn about sake and purchase premium sake online. Offers a large and growing selection of sake products for distribution in the United States. Also offers a learning section, recipes, and a blog by Beau Timken. Visit SakeSocial to learn , question, interact, and discover the wonderful world of Japanese sake. Sakenomi.us. A sake shop and tasting bar dedicated to premium sake. Based in Seattle, Sake Nomi carries the Northwest's widest selection of imported and handcrafted sake. Run by Johnnie and Taiko Stroud, Sake Nomi is a comfortable, casual sake "museum," where you can learn about and experience a wide variety of different sake from Japan. Sake2Me.com. Something different! A blended, fruit-infused junmai sake product now available in the US. Sake2me.com is the first bottled drink to blend pure, premium junmai sake with all-natural Asian flavors. The result? A lightly sparkling and refreshingly clean taste of the exotic. SakeDiscoveries.com. By Chizuko Niikawa-Helton. A wealth of information on Japanese sake, sake events, and restaurants serving sake. Chizuko originally hails from Aikita Prefecture. She is involved with promoting sake around the world and runs her own sake consulting business. Sakebar.fr. eSake's premium sake products are now available for online purchase in Europe. Sakebar offers a growing lineup of Japanese nihonshu in numerous grades and sizes, from junmai and junmai daiginjo to sparkling and nigori. Most of our products are in the 720 ml and 300 ml categories. Happy sake sipping in Europe. E-yakimono.net.Your one-stop knowledge center on Japanese pottery and sake utensils. Features an online Japanese pottery store, which sells/delivers worldwide. If you are looking for quality, one-of-a-kind guinomi (sake cups) or tokkuri (sake flasks), this is the place to find them. Teaceramics.com.Home to potter Richard Milgrim, who has devoted his life to making tea ware (chawan, chaire, mizusashi) with a universal appeal. www.mikasselection.com. Online store selling sake vessels and other pottery from Shigaraki Prefecture, Japan. Very low prices for very nice pieces. www.bento.com/tokyofood.html. A complete guide to Japanese cuisine and eating in Tokyo, with recipes, culinary travel tips, restaurant listings and more, including sake-related listings. Profiles of 12 small family-run traditional Japanese brewers, plus links to find their sake in the USA or in Japan. Sake Brewery Tours. Visit local brewers, speak directly with the artisans making sake, and learn from sake writer and educator John Gauntner. Sake Brewing Internships at Daimon Brewery in Osaka, the brewer of the Mukune brand of premium Japanese sake. The best way to learn sake is to make sake. Handcrafted Beer Made in Japan. Baird Beer is a celebratory experience in flavor. The basic formula for the entire lineup of hand-crafted Baird Beer is the same: Balance + Complexity = Character. The brewers of Baird Beer are dedicated to the crafting of beer that bursts with flavor and character. Baird Beer is produced in tiny batches with painstaking care, passion and reverence for tradition. Site of the Japan Sake Brewers Association. Lots of stuff on sake and sake culture. The sister site of Chopsticks NY magazine, Sake-Guide.com is dedicated to the world of Japanese sake. It provides product reviews, sake articles, brewery reports, and interviews with sake sommeliers, brewers, and industry insiders. Japanese language only. Japan's leading online seller of premium Japanese sake (domestic delivery only). Great selections. Japanese Culture Experience offers seminars and tours in Tokyo for all lovers of Japanese culture. They have two special sake programs: (1) Learn Sake Tasting from Sake Sommelier and (2) Sake Brewery & Sake Tasting. Sake tastings and sake symposiums by certified sake sommelier Ad Blankestijn. Sake, wine and beer reviews. Join for free and add your own. An introduction to sake and how to brew it. Includes a glossary of terms, short history of sake making, homebrewing information, and some recipes. Information on brewing sake at home by Mitsuo Hoshida. How to Make Sake, Where to Buy Koji. Dedicated to Fred Ekhardt, easily the most experienced sake home-brewer in North America, and one who has done much to promote sake home brewing. Provides links to various English and Japanese sake sites. Resources on sake and sake brewing in Akita Prefecture, Japan. Information about sake rice, brewing techniques, food, and sake in general. USA-based supplier of bar products, books, videos, and training courses for bartenders. Link Back. Offers you a large collection of homebrewing recipes, along with links to other sites devoted to food, recipes, and restaurants. We invite you to try Shizuoka Green Tea and discover why it is so highly regarded. The difference is the taste. Our online eStore offers premium tea products sourced exclusively from the Shizuoka region and sold worldwide. Once many tea drinkers try authentic Shizuoka Green Tea, they seldom return to others. Discover cool and traditional Tokyo spots that you can't find in travel guidebooks! We are a social networking word-of-mouth review web site aimed at foreign residents and visitors to Tokyo as well as Japanese who are interested in foreign culture/people. The Japan Society of New York offers various online resources on flim, art, lectures, seminars, and other Japan-related events in the USA. Wine Investments. Albany Portfolio Management advises on investing in wine, identifies and sources investment-grade opportunities, and builds and manages wine portfolios. Asian-inspired recipes by the breakaway chef himself, Eric Gower. See some of his wonderful recipes online at eSake.com. This site is a reference resource and estore for people interested in Japanese foods, beverages and related products. It also provides listings of Japanese restaurants in various states. This website features information on the Bay Area's Sushi Ran restaurant. The restaurant serves a wide variety of chilled premium sake. Wasabi Pacific is the largest grower of fresh wasabi in North America. Fresh wasabi is shipped daily direct from the growers in Oregon. Learn about fresh wasabi, order online, try recipes, and learn the difference between powdered and tubed wasabi and the real thing. The New York Sake Meetup Group. Group's focus is on introducing sake enthusiasts and newbies to a selection of sakes in an exciting and unpretentious atmosphere. They meet monthly at a sake bar, izakaya or other venue to appreciate and learn more about premium sakes. Japan for Visitors at About.com. By Shizuko Mishima. Features a large and growing collection of resources on various Japanese beverages. Mishima-san also maintains the much larger Japan for Visitors forum, with tons of resources on etiqutte, food, hotels, sites to visit, etc. Offers lineup of Japanese "guinomi," or pottery / porcelain sake cups, selected from traditonal regions. Enjoy your favorite sake with Japanese hand-made sake-ware!. TheTravelledHome.com offers a wide variety of sake sets, including its most popular black sake set and cherry blossom sake set. They also offer a large variety of Asian decor products, including wall decor, picture frames, vases, sushi sets, Buddha decor, and shoji lamps. Based in L.A., eKitron offers a wide selection of sake serving sets imported from Japan. They also offer cookware, tableware, kitchenware (retailer & wholesaler) for Japanese restaurants as well as for people who enjoy Asian cuisine at home. Sushi-and-tea related items are also available. Based in New York City, Lil Markets sells sake sets, Japanese tableware, sushi-related items, tea utensils, and a wide assortment of other Asian goods. Online store selling authentic Japanese dinnerware, cookware and gourmet ingredients. Also offers sushi kits and sushi equipment. a web-design firm based in Kamakura, Japan. quality hand-carved wooden statues of the various Buddhist deities. Hotels in Japan. Going to Japan to visit sake breweries? Space Design is a provider of furnished and unfurnished short term serviced apartments. Modern buildings and exceptional service. 24/7 English hotline. No hidden fees. No key money.